Afghanistan President Hamid Karzai has once again targeted Western Countries and blamed US of interfering in Afghan Government Internal matters. He said if West not stopped interfering in Afghan Government Internal matters then Taliban Movement will become right and I will have no other choice to Join Taliban. According to Media Hamid Karzai said it in front of 70 Afghan Parliamentarians. American Embassy in Afghanistan has denied to do any comment on Statement of Afghan President. 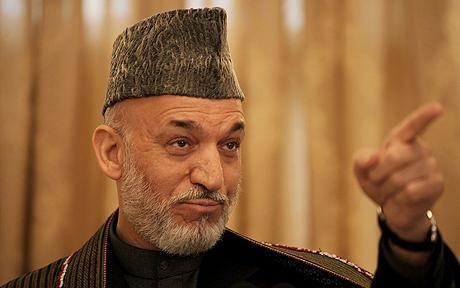 Afghan President Karzai has also announced not to do Operation in Kandhar on objections of Public. From last few days Things are not well between West and Karzai Government and they are giving statement against each other.